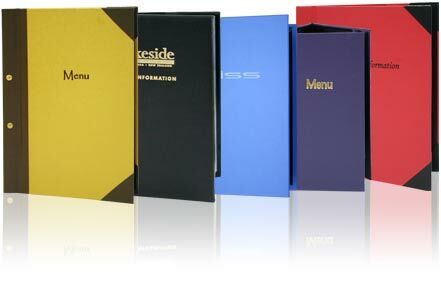 We manufacture quality Menu Covers and Menu Boards in different styles and sizes. Combined with our colour and material options, plus our range of accessories, there's something to suit everyone. Your guest room information compendium is often one of the first things to make an impression on your guests. Whether you have a multi-storey city hotel, boutique lodge or small town motel - our room compendiums will have you covered. The excellent quality of our menu covers and room compendiums is matched by our specialist marriage celebrant folders and wedding certificate holder products. Connect with your customers by using beautifully handcrafted menu covers, menu boards, guest room compendiums or celebrant folders. Menu Covers NZ manufactures a quality range of products for restaurants and hotels and motels, as well as specialty products designed for celebrants. Our menu covers, compendiums and celebrant folders are high in quality, attractive and unique, yet affordable. Whether the job is big or small, we take pride in providing you with a distinctive solution for your establishment.